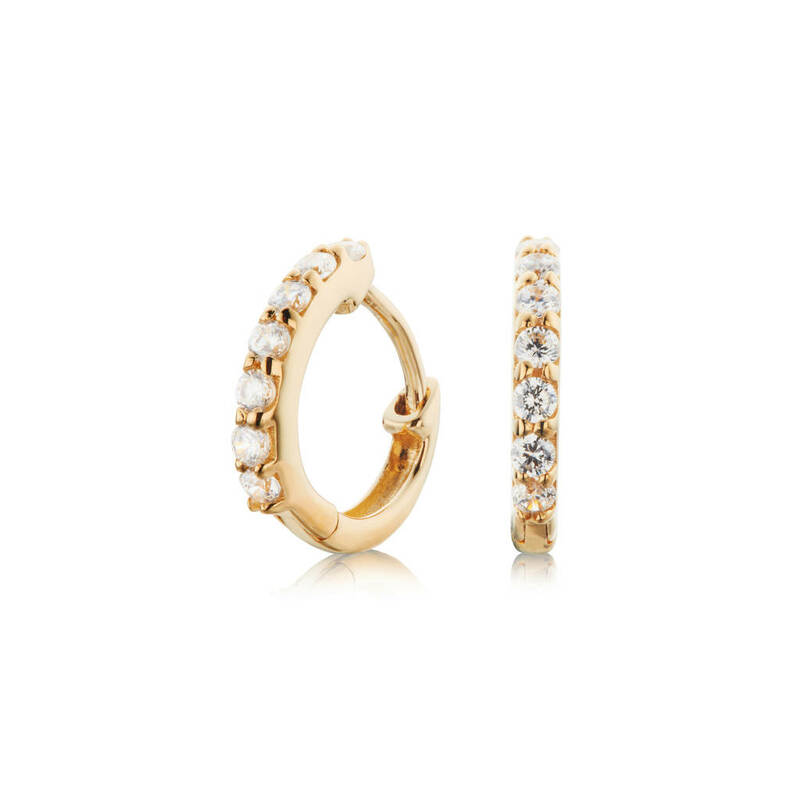 Lily & Roo's stunning, gold or silver diamond style huggie hoop earrings. The perfect jewellery gift for her, that she can wear every day. 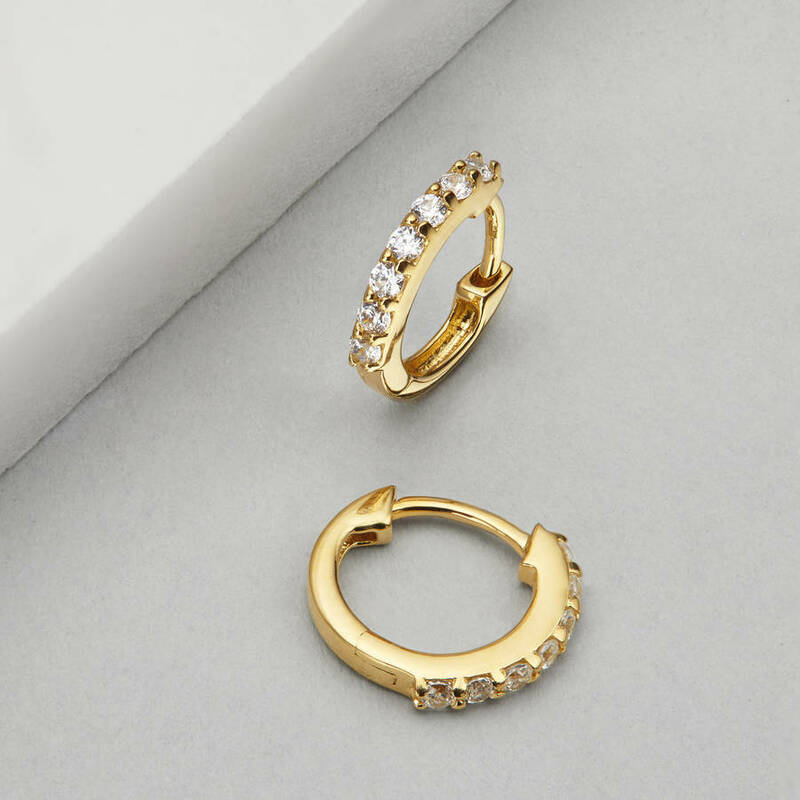 Lily & Roo's gold or silver, small diamond-style huggie hoop earrings are the perfect gift for any woman. 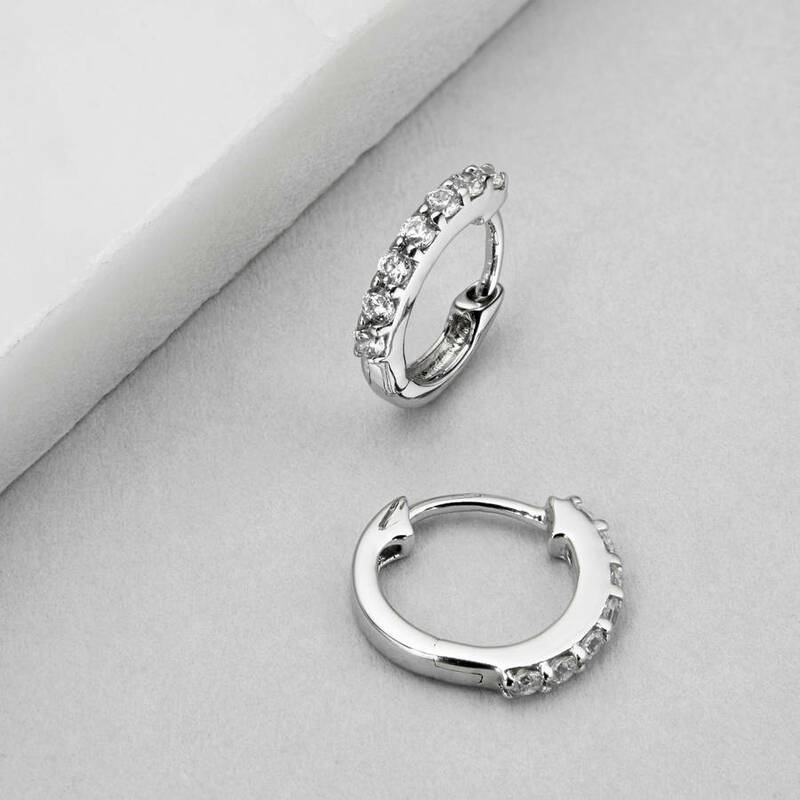 These beautiful small diamond style huggie hoop earrings are the perfect gift for a friend, sister or loved one. 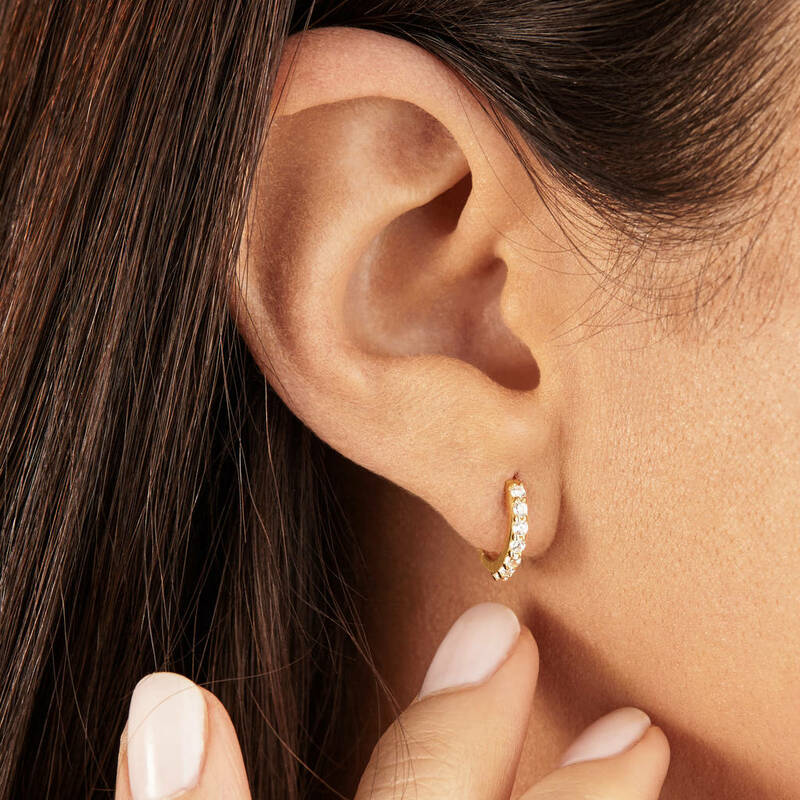 They are classic earrings that are delicately designed to hug the earlobe. 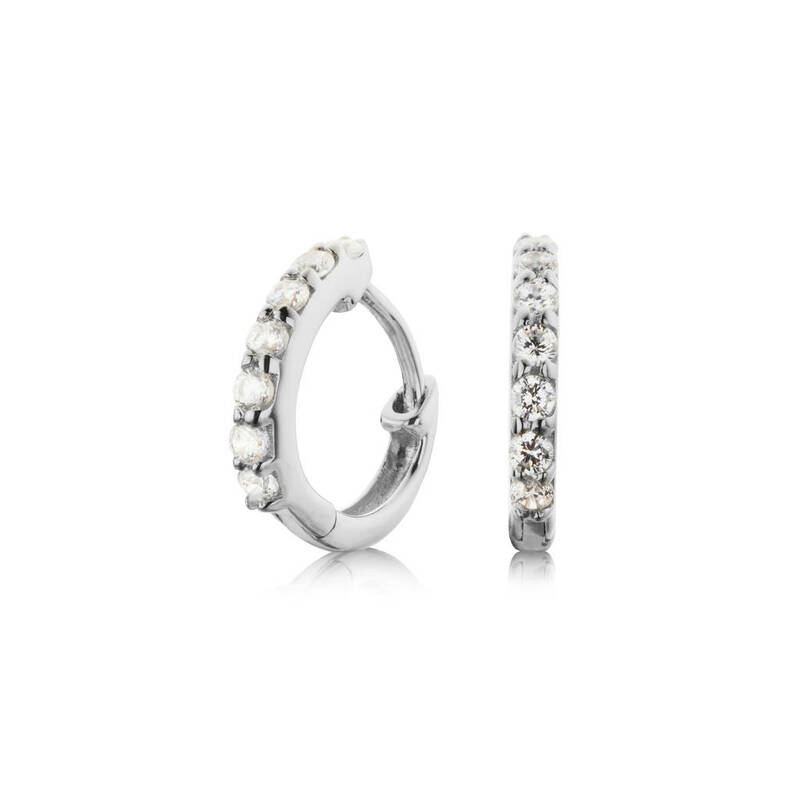 Ideal for a subtle yet stylish bride to wear on her wedding day. 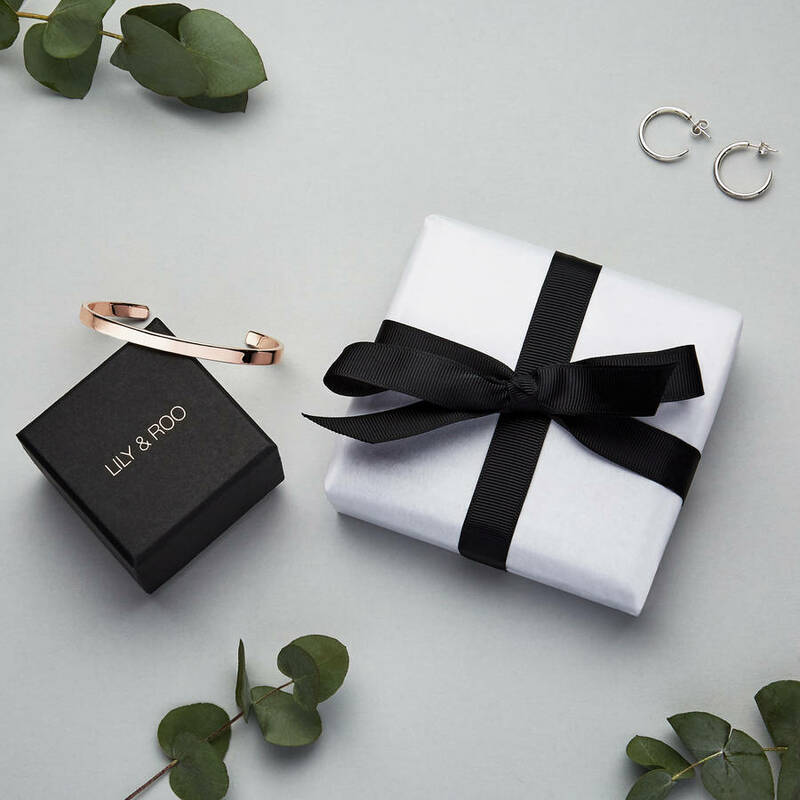 Your stunning gold or silver huggie hoop earrings will be sent to you in a complimentary Lily & Roo gift box. Treat your wife, girlfriend, mother or friend. All of our materials are ethically sourced and produced. Available with crystals or genuine single cut diamonds, in gold plated, solid gold or solid sterling silver.